Unwind in comfort with the inviting and elegant design of the Flannel Seal RAF Loveseat by American Furniture Manufacturing. 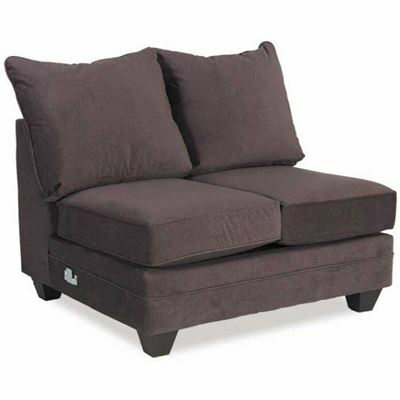 This RAF loveseat has a stylish look and inviting feel thanks to its clean lines, flared arm, and loose back pillows. 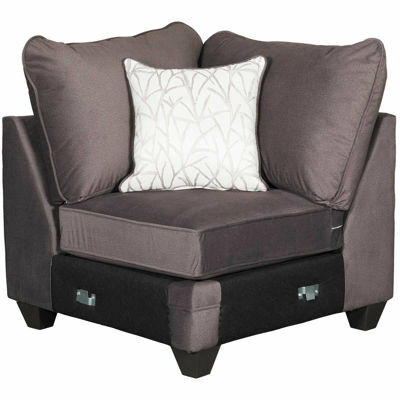 Soft, polyester upholstery in a dark gray seal color coordinates with silvery birch-patterned accent pillow for a put-together appearance. Pair it with other pieces of the Flannel Seal sectional to make a custom configuration that’s just right for you. Unwind in comfort with the inviting and elegant design of the Flannel Seal RAF Loveseat by American Furniture Manufacturing. Flannel Seal RAF Loveseat from American Furniture Manufacturing.